This fun course will explore color smashing and bashing (carefully of course) on a beautiful silk scarf. 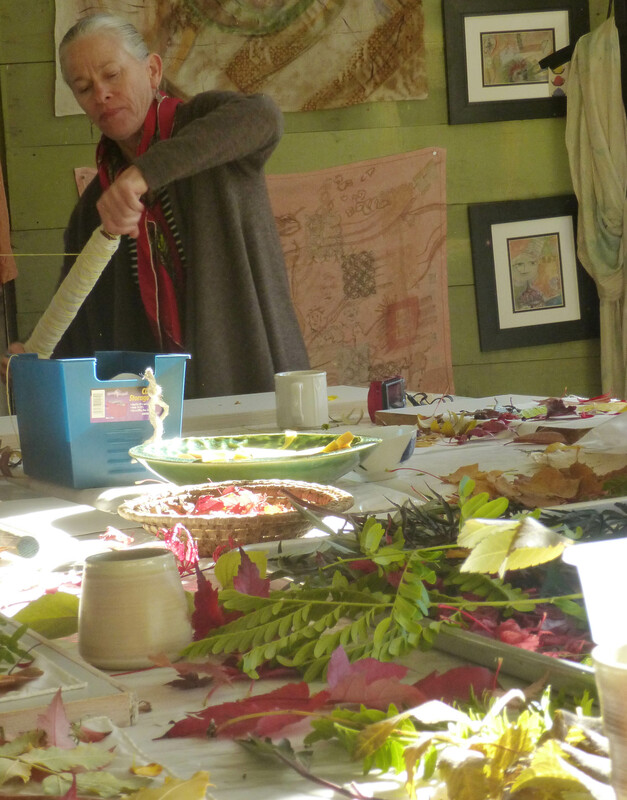 There will be many beautiful local flowers and leaves collected scarf-ready. This is easy and fun but the rewards are big, everyone will go home with a totally unique & wearable piece of art!